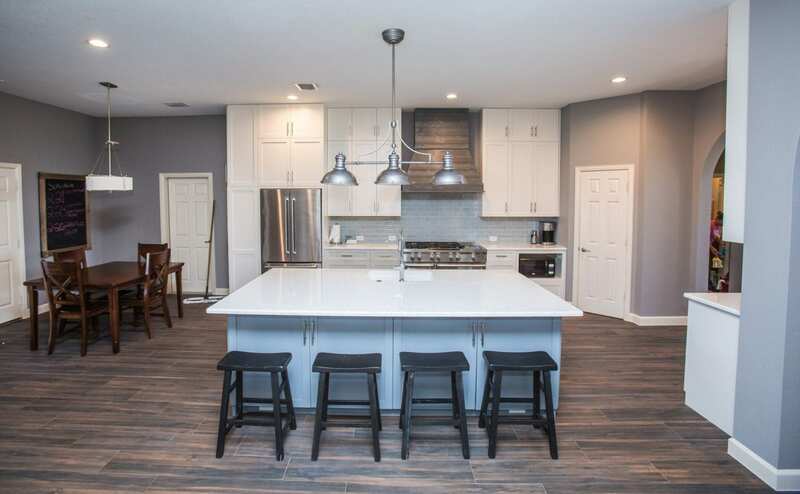 If you are considering new cabinets for your home and want the best selection of wood, materials and premium finishes then custom cabinets from Renowned Renovation might be right for you. Our warrantied custom designed furniture grade cabinets are built to your specification in our factory by skilled craftsman, finished in controlled environments to produce perfect finishes, before they are professionally installed without the additional mess, dust and odors that typically accompanies cabinets built onsite or in-home. 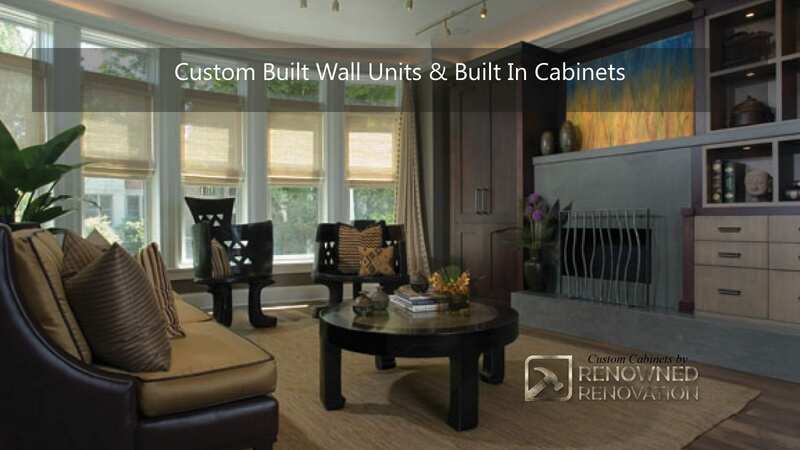 Renowned Renovation's custom cabinets are competitively priced. 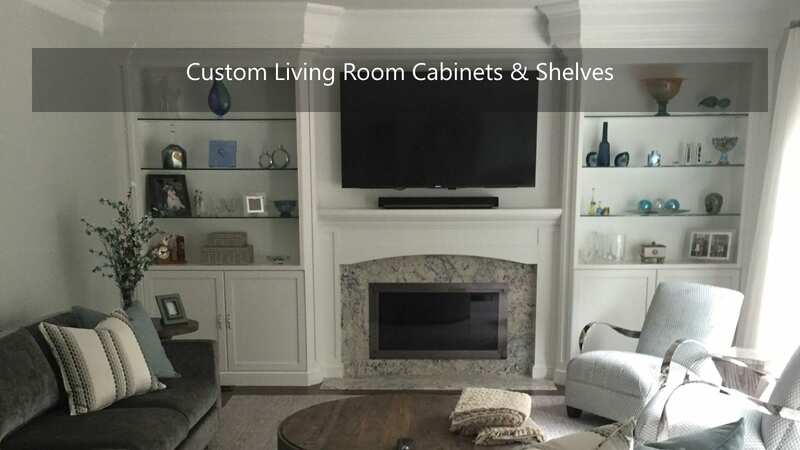 Check out our Custom Cabinet Idea Gallery. It includes examples of Traditional, Transitional and Contemporary Kitchens, Bathrooms, Accessories as well ideas for Entertainment Centers, Vanities, and more. Made in America! 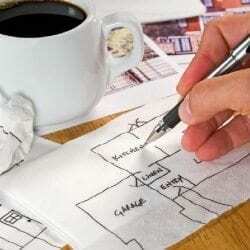 What Makes A Cabinet Renowned ? See what makes these Custom Cabinets renowned as Grant Woodruff explains how wood quality and craftsmanship the cabinets can be discovered simply by opening and closing drawers. Some key features of renowned cabinets are framed cabinet, inset cabinet doors and drawers, tongue and groove, dovetail joints, and built-in cabinet mike spice racks. What Makes Renowned Renovation’s Cabinets Unique? Every cabinet is exclusively designed and built to match any room of the home by master craftsmen in our own woodworking factory. 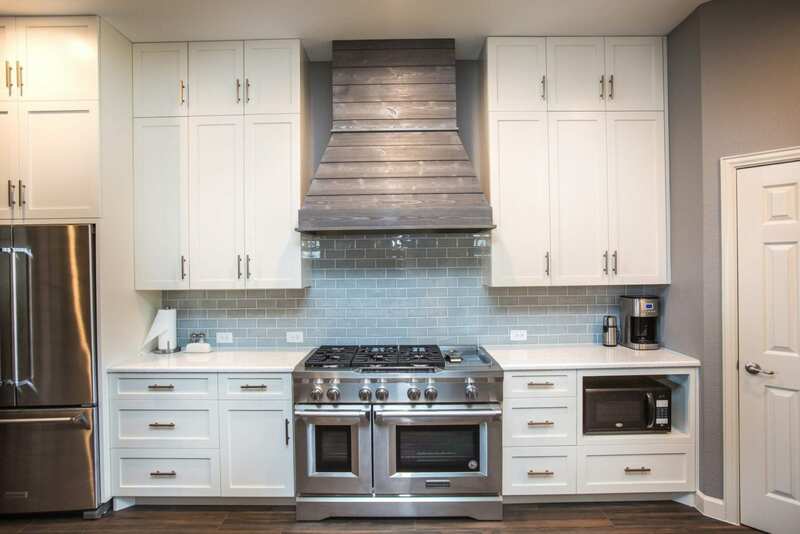 You choose the type of wood, finishes, and accessories and Renowned Renovation will expertly craft your cabinets from the finest materials available, custom matching any color, stain or effect desired with the utmost precision and care. Custom cabinets are available in infinite styles, sizes and finishes to accommodate any lifestyle. 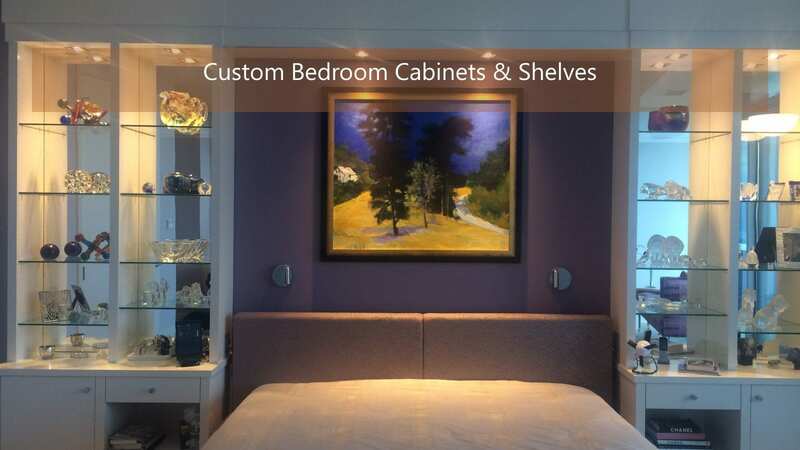 The flexibility of custom cabinets means no space lost: you are enabled to build to any width, depth or height specification which employs every cubic inch of space in your designated project. Built with furniture grade quality wood in our factory, you are guaranteed perfect finishes. Renowned to be beautiful and stylish, our products are backed by a five year warranty. Large cabinet manufacturers offer mass produced, identical cabinet types with limitations on the dimensions of their components, paint, and stain colors. Many of Renowned Renovation clients don't want to use stock manufactured cabinetry. They have truly unique styles that require the flexibility, skill, and craftsmanship only found in custom made cabinets. 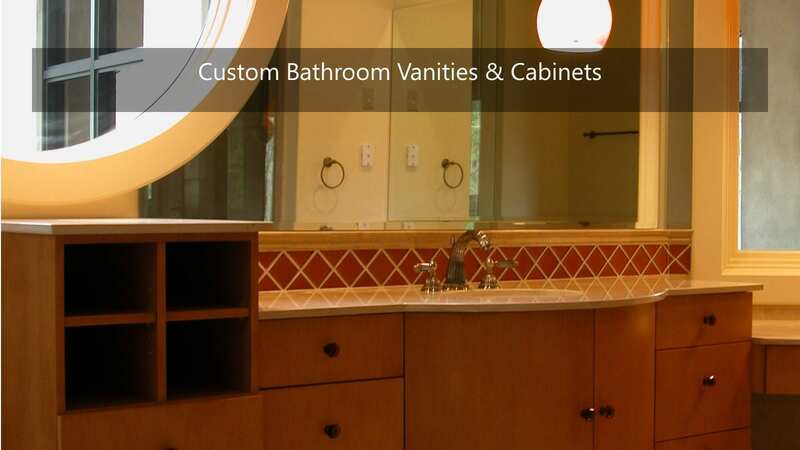 Custom cabinets built specifically for your kitchen, your bathrooms, or any other room in your home will add value and beauty that semi-custom or manufactured cabinetry can't . Mass produced cabinets found at most national retailers are not bad cabinets by any means, but they're just cabinets. We design furniture to last a lifetime in your home. Renowned Renovation worked with local skilled craftsmen to build custom cabinets on-site for our clients in their homes for years with great results and satisfaction. However, the most constant feedback other than the high praise for our end result regarded the on-site process itself: the mess, the dust and the lingering odors of adhesives, paint and finishes in their homes. The majority of large cabinet manufacturers in the United States and abroad use formaldehyde in their finishing processes. Renowned Renovation uses finishes and adhesives on cabinets that are formaldehyde free, ensuring no lingering chemical odors or harmful chemicals in your home. Inhaling fumes from paints and stains can be more than a nuisance, it can be dangerous to your health. Finishing projects in client-occupied spaces is nearly impossible due to the chemicals in the finishing components. If a dwelling is unoccupied, finishing cabinets on site is possible... unless the dwelling is a condominium or townhouse with restrictions against lacquer paints or catalyzed varnishes. Most condominiums prohibit oil based finishes, limiting the choices to acrylic based paints and stains, which have the increased probability of unsightly cracking and imperfections. In modern techniques, lacquer means a range of clear or coloured wood finishes that dry by solvent evaporation or a curing process that produces a hard, durable finish. Inhaling fumes from paints and stains can be more than a nuisance, it can be dangerous to your health. Finishing in a client-occupied space is nearly impossible because of the chemicals in the finishing components. If a dwelling is unoccupied, finishing cabinets on site is possible unless the dwelling is a condominium or townhouse with restrictions against lacquer paints or catalyzed varnishes. Most condominiums prohibit oil based finishes, limiting the choices to acrylic based paints and stains, which bear the increased probability of unsightly cracking and imperfections. Renowned Renovation has solved these issues by parenting with a manufacturer who custom-builds cabinets, that are finished and cured using the best tools and workmanship that deliver a furniture grade custom cabinet with a prefect durable finish that we install with the least amount of dust and invasive odors. 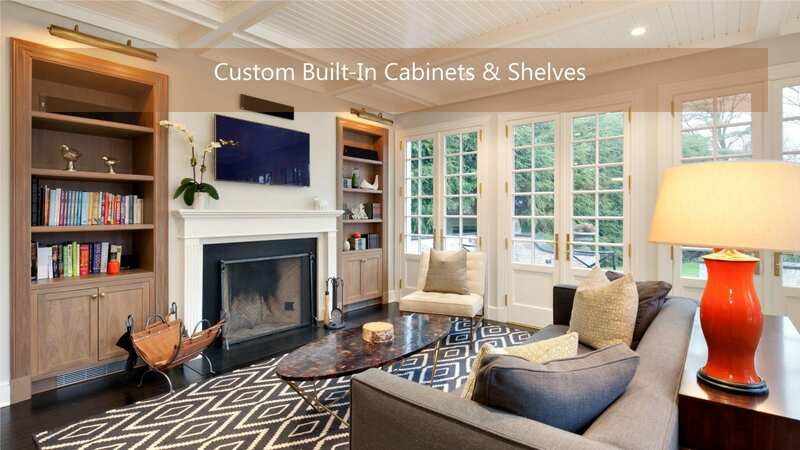 Renowned Renovation uses a US based custom cabinet manufacturing company to support local business, control product quality, and deliver furniture grade custom designed cabinets at a fair market price. Renowned Renovation spent well over six months of research to find the ideal custom cabinet manufacturer, landing us in Lancaster County Pennsylvania, the cabinet capital of the United States. Lancaster County is home to Pennsylvania Dutch Country's famous Amish, Mennonite, Brethren and other wood furniture and cabinet craftsmen. 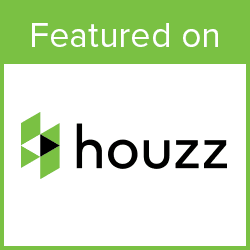 Founded in 1962, the company Renowned Renovation selected was created by three co-founders, two of whom had joinery experience dating back to the age of Quaker Maid Kitchens. In its maiden days, the company consisted of a factory and retail store (the retail store was bought out by their sister company). One of the founders, Norman Hahn, left the trio to open his own cabinet door business he dubbed Conestoga. Renowned Renovation's manufacturer has traditional woodworkers, furniture, and cabinet makers who habe been known for their quality wood craftsmanship over 50 years. Well known and respected for their traditional construction and woodworking techniques, their dedication and of utilization of cutting edge finishing processes and chemical advancements keeps them market leaders today creating custom made furniture grade cabinets built to outlast mass produced builder grade cabinets found at national retail stores. Manufactured in a factory-controlled setting, divided into areas of fabrication and finishing. In the fabrication area machines cut the cabinets at intervals of the assembly line using flawless Computer Numerical Control (CNC) Machinery. Then all assembly and finishing are done by hand by our craftsmen. The tell tale sign of furniture grade cabinets is joinery methods, ability to make inset frame cabinets, and customization.Dowels are not used for joinery in our cabinets. Dovetail joints are used in building our cabinets ensuring that the cabinets are sturdy and capable of enduring more weight and tension. Traditional oil paint, lacquer paint, or catalyzed varnished are brittle. Wood expands and contracts with a home’s natural moisture, forming tiny cracks in finish over time. Polyurethane-based coatings are pliable and dramatically reduces the likelihood of surface cracking, thus finishes maintain their luster much longer. 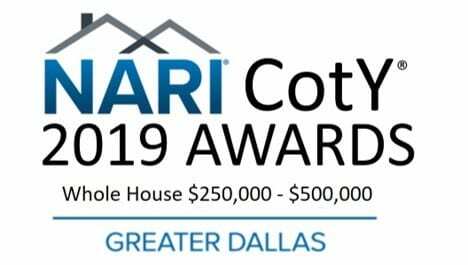 Our cabinets must be made from the highest quality materials with perfect finishes without creating indoor air pollution or lingering post-installation odor. Custom Frame Types allow owners to match design and style while maximizing the storage space. Framed cabinets are the most common type in the United States. They are called framed cabinets because of the 1-1/2” lip (frame) around the front of the cabinet box. The doors are attached to the frame rather than the box. This type of cabinet works well in traditionally designed spaces, If you look closely, you can see the frame between the cabinet doors. Frameless cabinets have no frame. This allows full access to the cabinetry. Most frameless cabinets have thicker sides than framed cabinetry, and because there is no lip and the drawers/doors are wider, full access cabinets have about 15% more storage space than their traditional counterparts. This type of cabinet works well in contemporary or traditional spaces, depending on the door style selected. Renowned Renovation's collaboration with our custom cabinet manufacturer is seamless. Our companies create remarkably finished cabinets that are aesthetically pleasing and extraordinarily durable. Dedicated to excellence, we back our work with a five-year warranty. For your unique look, for top quality, there is no better choice than to trust Renowned Renovation for all your cabinet making needs. We work to deliver the custom cabinet needs of our clients with quality construction and materials, premium finishes, and customization. 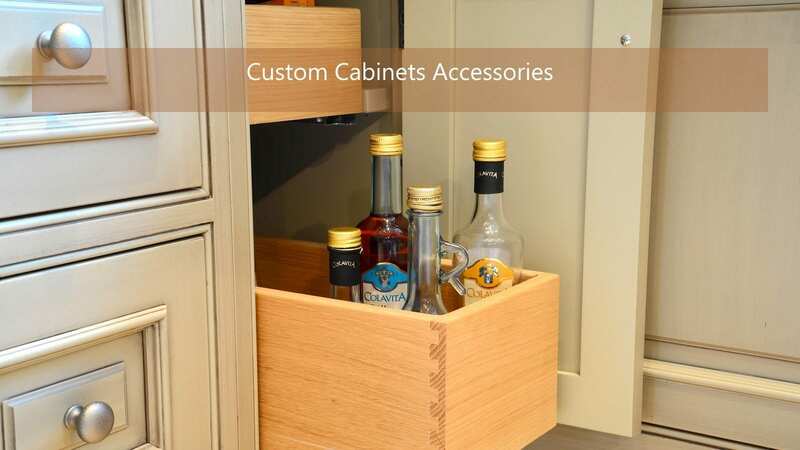 In addition to the the style of cabinet, you will need to choose the type of wood, lumber cut or grain option, desired finish, and cabinet accessories. Generally custom cabinets are one of the last things to be installed during a home improvement project. For the best look the cabinets are installed after all the drywall work and flooring are completed. Be sure to include at least 8 weeks lead-time between ordering and receiving your cabinets. We recommend working with one of our design team members to ensure that you get the perfect cabinet for any room.